Brooks-Range Hauler Shovel Smoke by Unknown at Wildly World. MPN: 2411-910-0. Hurry! Limited time offer. Offer valid only while supplies last. When you head out for a winter backcountry adventure, you always want to make sure you are carrying a shovel. You never know when you might need it. When you head out for a winter backcountry adventure, you always want to make sure you are carrying a shovel. You never know when you might need it. The Hauler Shovel is small, light weight and will fit into your pack with ease. But allows you to move a lot snow with the large blade. Made from 6061 T6 Aluminum for increased durability. 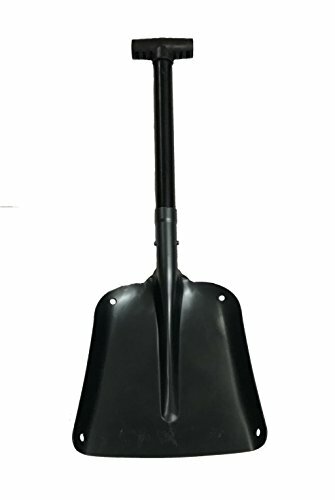 Utility Snow Shovel And Gatherer Combination, Large Ladle, Red N Black Color, Multipurpose, Fiber-Glass Material, Strong Grip Assist, Comfortable And Convenient, Highly Durable Construction & E-Book.